These modifications on the microtubules are hypothesized to ensure that cargo in these neurons gets to the right place at the right time. 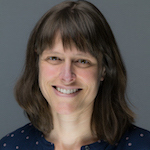 The lab of assistant professor Jill Wildonger at the University of Wisconsin–Madison Department of Biochemistry studies these modifications and their impact on the transport of cargo. New research from the Wildonger Lab led by postdoctoral scholar Brian Jenkins investigated a particular post-translational modification, using a new approach to find that researchers’ assumptions about the modification might not have been as correct as once thought. Their research was recently on the cover of the Journal of Cell Science. Research at Oregon Health and Science University. The particular post-translational modification they studied occurs on the microtubule at lysine 40 (K40). The modification is called lysine acetylation, which means a chemical combo called an acetyl group is added to the end of the amino acid lysine on tubulin (microtubules are made from proteins called tubulin). This modification occurs on the inside of microtubules, which are little tubes, rather than the outside where transport occurs. This acetylation was thought to be essential for proper transport in a neuron and hence survival of an organism. finding was novel and intriguing, Jenkins says. Something else they found was decreased lysosome transport. Lysosomes are an organelle commonly known as the “trash can of the cell,” responsible for keeping the cell healthy and recycling and degrading proteins and other molecules. They saw some of these potentially negative effects but the flies were still healthy, showing how resilient the cells can be and how this modification might not be as essential as researchers thought. The December cover of the Journal of Cell Science featuring Jenkin's image. Their experiments took a unique genetic approach that allowed them to test the effect of microtubule acetylation in a more unbiased manner than other methods. Using a form of genome engineering, the researchers made a specific change to part of the microtubule, rather than using a drug to manipulate the acetylation or inhibiting an enzyme involved in the acetylation process. It’s possible those alternative methods have unknown effects on other proteins in the cell so while they are good approaches, a genetic method directly targeting microtubules may give better results, the researchers say. The Wildonger Lab uses fruit fly larvae in their experiments and images the sensory neurons in the peripheral nervous system, analogous to those nerves in human skin that sense heat, cold, and other stimuli. Wildonger explains that the use of fruit flies is a great model for studying neuronal microtubules. The implications of their work are spread across basic research and neurodegenerative disease. Jenkins says the work of understanding the basic mechanisms and functions of microtubules and post-translational modifications is extremely useful and this research gets at those questions. He and Wildonger also add that in some neurodegenerative diseases like Parkinson’s or Huntington’s, other researchers have shown that a manipulation to increase microtubule acetylation helps fix some issues with cargo transport experienced by the neurons. She and Jenkins say being on the cover of the journal’s December issue was an honor and nice recognition of their unique experimental approach and findings. While the post-translational modification they studied serves as a traffic signal for motor proteins on the microtubule highways, it’s possible this particular sign isn’t completely essential for the neuronal city to keep humming along.